He bore the weight. He was crushed for our iniquities. 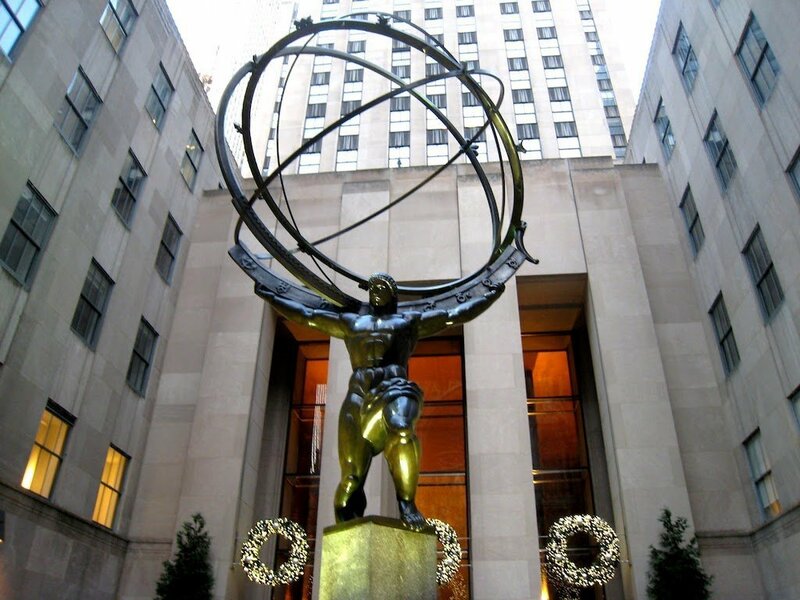 When you visit Rockefeller Center across 5th Ave from St. Patricks Cathedral in the New York City, you may see the sculpture of Atlas holding up the world with all of his strength. His knees are buckling. His arms are trembling. There is blood running down his chest. The last of his energy is spent on this impossible task. While this is a myth, Atlas holding up the world, it resembles what happens on the cross. Jesus is no myth but he bears the weight of the world. He carries all that is wrong with the world, all the suffering in the world, all the evil in the world, and all the sin of the world. It crushes him. He cries out, it is finished. Suffocated, all his breath is let out of him. But Jesus does not bear our sin because he had to. He chooses to do so. He willingly takes this weight upon himself. He is willingly crushed. He does so out of love. Jesus does not suffer because he was condemned by Pontius Pilate and the religious leaders. It was not the nails that held him to the cross. There is no one who held power and authority like Jesus held. He could have commanded 10,000 angels to come to his rescue if he chose that. It was love alone that held him to the cross. Little did they know, he could have saved himself. Yet, he chose to die so that they might live. Jesus chose forgiveness and love rather than condemnation and vengeance. no one to help him. no one to rescue him. no one to comfort him. no one to listen to him. no one to assure him. no one to love him. There is no other way to say it – Jesus endured hell! He went through the fire. People sometimes joke about hell being a party with their friends. Nothing could be further from the truth. The pain of hell is not fire. It is something far worse. It is the pain of despairing loneliness. But Jesus endured such loneliness to save us from it. This is a day we are often somber and sad. We remember what Jesus did. We reflect the fact that the reason he did what he did was because of our sin. We recognize we are as responsible for Jesus death as much as Pontius Pilate, the religious leaders, and the Roman soldiers. We realize that we are no different than his closest followers who abandoned him in this most crucial moment. Our sadness is mortality. It is our sin. It is our lack of faithfulness. Our sorrow is how we have taken for granted his amazing love and sacrifice. We are humbled on this day that we would have the audacity to demand anything of a God who gave all. Still, our remembrance of the sacrifice must be tempered with the hope of Easter. Sin would crush him, but it would not conquer him. He is the one to bear our sin because he was without sin. Because he was righteous, he was the only one to bear our unrighteousness. There is a reason that Good Friday is called good. It is because of Easter Sunday. Without Sunday there is nothing good about Friday. If Jesus had simply been crushed by sin, then all hope would be lost. We would be left with nothing but grief and sorrow. We may feel the weight of the world pressing down on us. We may suffer evil. 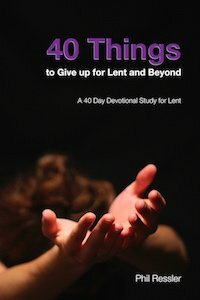 We may be confronted with the consequences of our sin. We may be broken and beat down. We may feel lonely. We may be crushed. 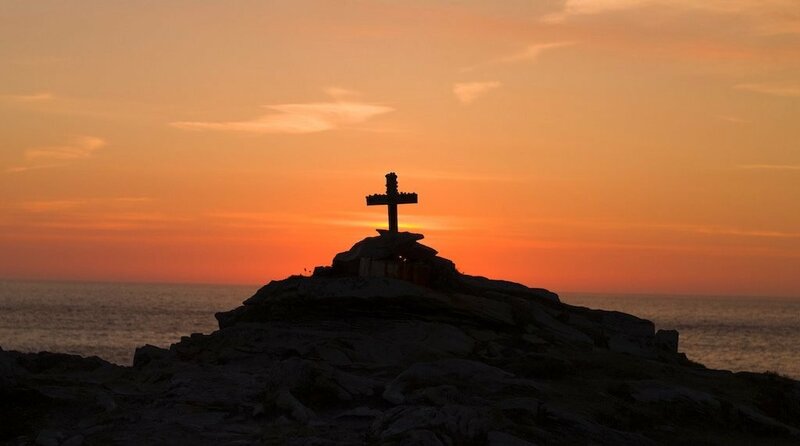 But the cross remains… It is our symbol of hope. It has made its way around the internet. 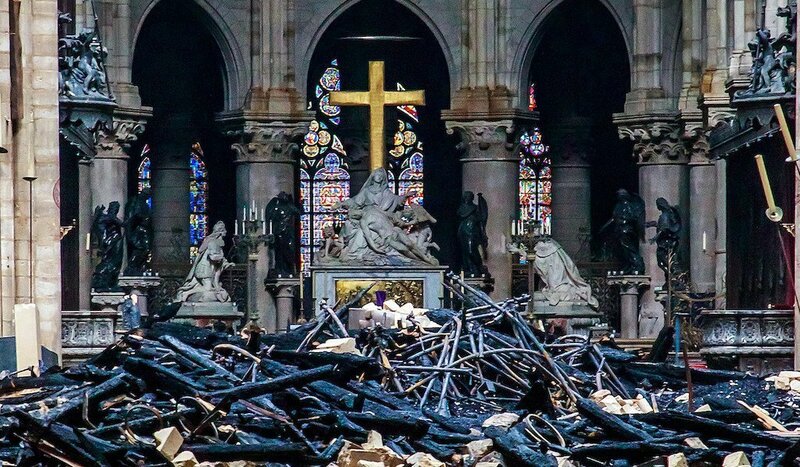 It is a picture in the aftermath of the devastating fire at Notre Dame. There is incredible destruction here, but still, the cross still shines. The cross still stands. Our hope, though heaven and earth may pass away, Jesus has won the victory. Whatever devastation you may experience, if you have the cross of Christ, you can know that you will still stand. You can have everything taken from you, but Christ has secured your salvation. Today is Maundy Thursday. It is the day that Jesus instituted the Lord’s Supper. First, he takes the bread. He gives it to the disciples and says to do this in remembrance. Another way to translate this is: “do this for my remembrance.” In other words, do this for God’s remembrance. That is covenant language. What is to be remembered? The new covenant! Each time we receive the meal, God remembers what he did, through Jesus’ sacrifice on the cross. He secured our forgiveness! It’s not that God forgets. He never forgets. This remembrance is similar to the way a married couple renews their vows. They never forgot, but the pledge of their love is renewed. The body is given so that the importance of God promise is not forgotten by the God who gives it and the people who receive it. The next line says that this cup is poured out for you. Jesus says, “it is the new covenant of my blood.” God establishes a new covenant with you when you receive this meal. The blood is not given by you. The blood is given for you. This meal has nothing to do with what you have done. It is not about your worthiness. It is about all about what God has done for you. It is about Jesus’ worthiness. 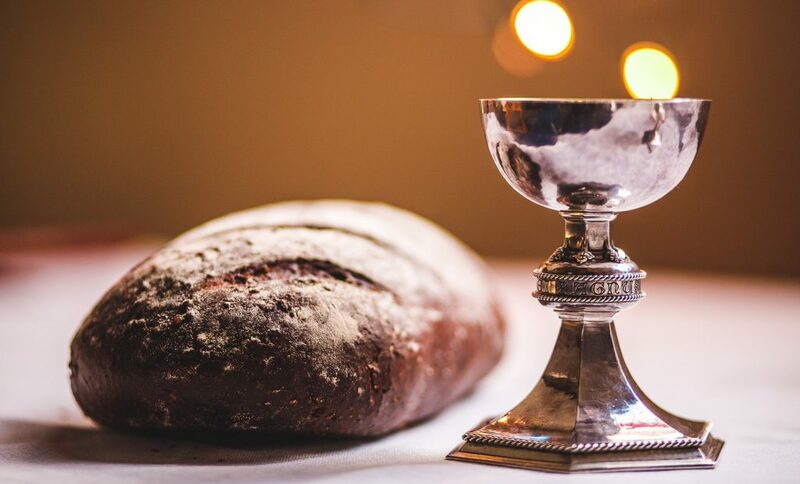 Occasionally, someone will ask me if they are worthy to receive the Lord’s Supper. They fear that they are too great of a sinner. The truth is that if this covenant were dependent upon us, none of us would be worthy to receive it. Only Jesus is worthy. Worthy is the Lamb who as slain! This meal is especially for sinners and those who are unworthy. Where there was no way, God has made a way. On the last day, there will be “good people” who will be condemned. There will be “bad people” who will receive salvation. Our salvation has nothing to do with how good (or bad) we are. It is all about how good Jesus is. Our salvation is because we are given the blood of the covenant. It is blood we receive when we drink the wine, receiving it in faith as the blood of Jesus. This week is Holy Week. This week we focus on how Jesus gave his life. He died on the cross to rescue us from our sins. He took the punishment that was ours. And it is by his wounds that we are healed. He died for you because you were worth it. Hebrews 12:2 describes the joy set before Jesus. He did what he did out of joy. There was pain. There was suffering. But it was done out of love. His love was greater than the agony. It was love that compelled him to offer himself as a sacrifice. It is a picture of a well-lived life. Jesus told us he came that we may have abundant life. At the same time, he tells us to take up our crosses and follow him. These things would seem to contradict one another. We don’t associate an abundant life with struggle and strife. Yet, that is to what Jesus invites us. To fully live you need to have something for which to die. Is there a cause or calling that would lead you to give all? Do you have a purpose that is bigger than yourself. That is where we discover a well-lived life. And Jesus himself gives us that something more for which to live. Most of us tend to live for ourselves. We don’t live beyond making it through the day. We struggle because we are so focused on preserving our life. Something that in the end is impossible. We will all lose our lives in this world. But how will it be lost? Will we lose it while trying to hold on to it with desperation? Or will we lose it having given it our all? Jesus is our reason to live for more. He gives us a reason to lose ourselves. When we lose our lives in him, we will ultimately find it. He is our cause to die (to ourselves) and our reason to live. In him, we die so that we might live. Yesterday, many of us saw the news reports about Notre Dame Cathedral in Paris. It was a sad sight to see a building of such beauty and historical significance consumed by the ashes. It is even more sad to see this take place during Holy Week. I am reminded that our faith is not in structures, buildings, nor dead religion. Our faith is a living faith in a God who raises the dead and pulls us up out of the ashes. 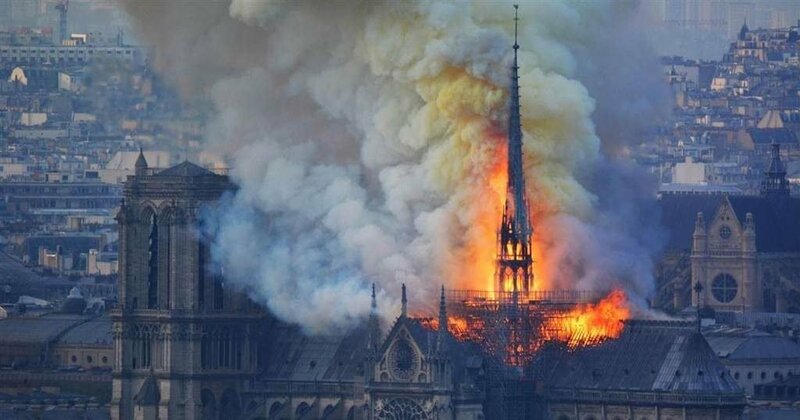 Unfortunately, the burning of Notre Dame is largely a symbol of Christianity in Europe. Cathedrals and church buildings often serve more as historical museums than centers for living faith. America is not far behind. Church buildings are becoming empty shells as thousands of churches close their doors every year. We can be saddened by this loss. But I can’t help but be reminded of what was lost on Holy Week so many years ago. Jesus died. It must have seemed like the end for the disciples. Their world was devastated. But it turned out that it was only the beginning. Little did the disciples realize the surprise that was coming on Easter Sunday. God is counter-cultural and counter-intuitive. To become great, he tells us to become a servant. To become rich, he tells us to give away what we have. It is in humility that we receive strength. And it is out of death that he brings life. What seems like defeat to us is the means through which Christ brings victory. It is when we think something is so great that God will take it from us to give us something greater. For those of faith, our trust and our hope is that through every loss, Christ will build and birth something greater. God has a way of taking our greatest losses in life and turns them into incredible kingdom victories. Yesterday, the Church celebrated Palm Sunday. It was the day of Jesus’ Triumphal Entry into Jerusalem. The people laid palm branches before him. They shouted hosannas with joy and raised a ruckus. What a great celebration! But in less than a week, Jesus would be put on trial and crucified. Why was he put on trial? He was accused of claiming to be a king. Before Jesus was crucified, they put a crown of thorns on his head to mock him for the claim that he was a king (John 19:2). The inscription over the cross read, King of the Jews (see Luke 23:38). Pontius Pilate, the religious leaders, and others did not consider Jesus to be a king. But he would show that he was the rightful king most deserving of our worship when he would rise from the dead on Easter Sunday. Today, Jesus still stands on trial. Is he or is he not the king of your heart? With every word you speak you either affirm or deny his lordship. With every action you take, it is the same. What does the life you lead say about the lordship of Jesus? 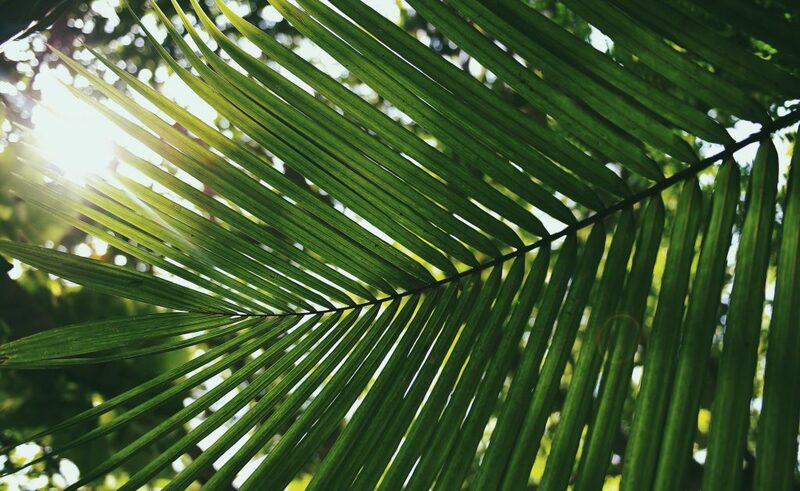 It is easy to join with the church and sing Hosanna on Palm Sunday. It is much different to affirm the kingship of Christ through the challenges in life. But that is where Christ is indeed most honored. How will you honor Jesus as king this week? How will you submit to his lordship? How will you worship and celebrate Jesus as king?